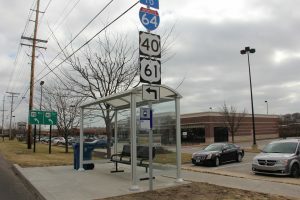 The completion of a bus stop enhancement project is creating a more convenient and accessible transit experience for those traveling through West St. Louis County. 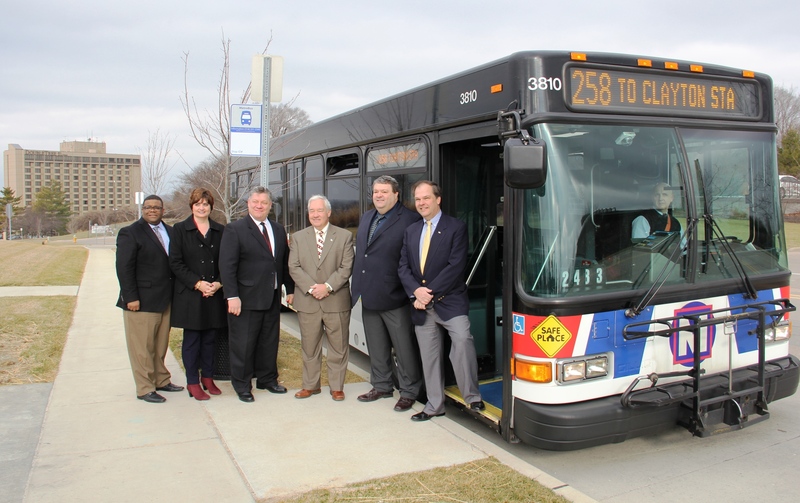 Metro transit representatives joined St. Louis County Councilman Mark Harder and Chesterfield Mayor Bob Nation to officially introduce the upgraded bus stops, which feature new shelters, seating, signage and improved Americans with Disabilities Act accessibility. The bus stop enhancement project added new amenities to seven key MetroBus stops in Chesterfield, with an eighth scheduled to receive enhancements later this year. These upgrades were paid for by the Chesterfield Transportation Development District (TDD). Metro provided planning, engineering and administrative support for the project, in collaboration with the City of Chesterfield and St. Louis County. Nation said the project was born out of a conversation with a Chesterfield resident who rode MetroBus and wondered if there could be a shelter at the bus stop to shield her and others from the weather. “One of the key goals of good transit is to enhance the communities we serve. Excellent bus stops such as these improve the livability of the community, so we were very excited when the Chesterfield Transportation Development District approached us about sponsoring this project,” said Ray Friem, Executive Director of Metro Transit. Four of the upgraded stops are located on Chesterfield Airport Road in Chesterfield Valley, two are on Chesterfield Parkway and one is located on Swingley Ridge Road outside of Chesterfield City Hall. The eighth stop, which will receive enhancements later this year, is located south of Chesterfield Mall outside of a new senior living development currently under construction.